The Sin Bin Sports Blog: Will All Star Appearance Eventually Hurt Quick? Will All Star Appearance Eventually Hurt Quick? The NHL All Star festivities are set to start tonight when Team captains, Zdeno Chara and Daniel Alfedsson, pick their rosters school yard style with a fantasy draft. In total, their will be 42 players participating in various challenges at the All Star Skills Competition on Saturday and playing in the All Star Game a day later. By being selected those 42 players, unlike the rest of the NHL, will not get to spend time with their family, return home or ultimately relax and recharge for the final stretch of the season. There is no player this could affect more than the lone Los Angeles King attending the All Star Game. Kings goaltender, Jonathan Quick has been the King’s lone bright spot this season and is the primary reason the Kings are currently in a playoff spot. Los Angeles has struggled to find their offense touch, averaging a league worst 2.14 goals per game, which caused management to make a change behind the bench when hiring Darryl Sutter. However, through all the uncertainty that has been presented this season, one thing has been certain on a nightly basis, Quick would give the Kings a chance to win that game. There is no doubt that Quick deserves to be a part of the All Star Game, he leads the League with six shutouts, and has the fourth best save percentage, .934, and goals against average, 1.93. This all contributing to his 21 wins this season, despite poor offensive help. However, Quick has started 42 of the Kings' 50 games played, a heavy load for any goaltender. The current seven day break between Kings games could have proven very beneficial for a recharge of Quick's batteries. If Quick is as heavily relied upon by the Kings as he has been through the first portion of the King's season, he may hit empty near playoff time. It would be unfortunate of this break in action could have been the period that prevented the Kings from going into the playoffs with a starting goaltender running on fumes. 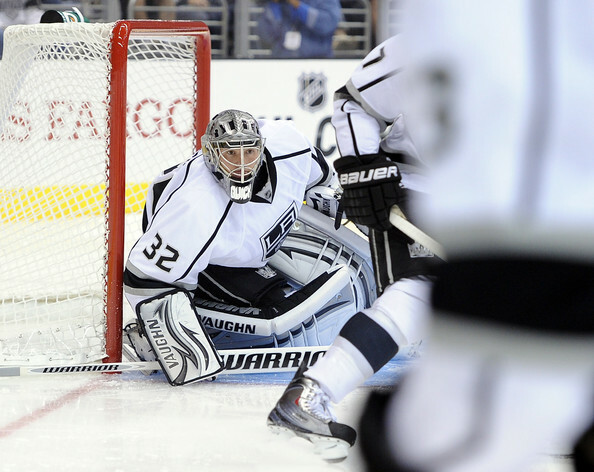 Sutter may want to give Kings’ back-up goaltender, Jonathan Bernier, a nod when the Kings return to action. They will be facing the Columbus Blue Jackets, a weaker opponent, giving Benier a chance to see some action and Quick a chance to rest up, even if it for a day or two.